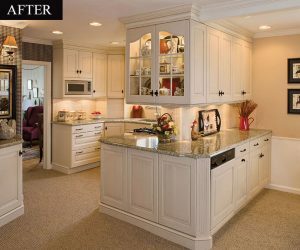 Take a look at a few of our remodeled kitchen pictures from Columbia, Lutherville, Annapolis, Bel Air and throughout Maryland. Let us know if you need any help. 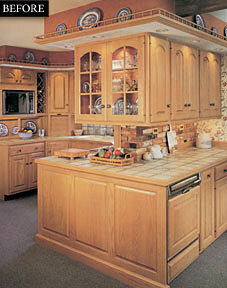 See what a difference Kenwood Kitchens can make! Pete and Ginny Shaeffer of Gibson Island and her talented brother, Tim Hoy, who did the remodeling, couldn’t say enough about Kenwood Kitchens’ designer, Bonnie Marshall. 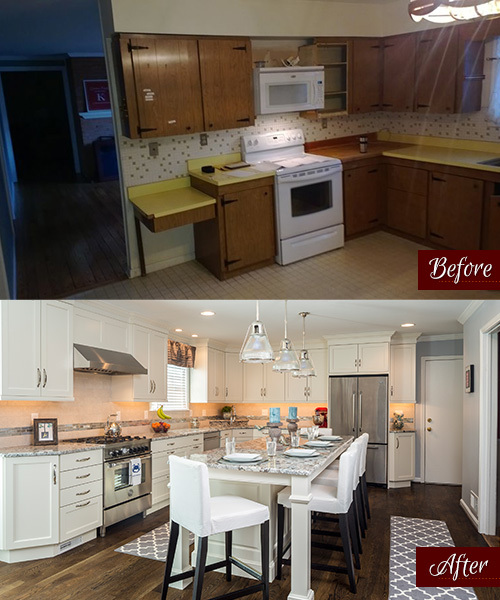 Bonnie integrated an existing beam into the design along with a new beam (not shown) where a wall was removed to expand the kitchen in a space that was underutilized. The wall ovens were relocated and placed underneath the staircase obstruction to minimize its appearance. 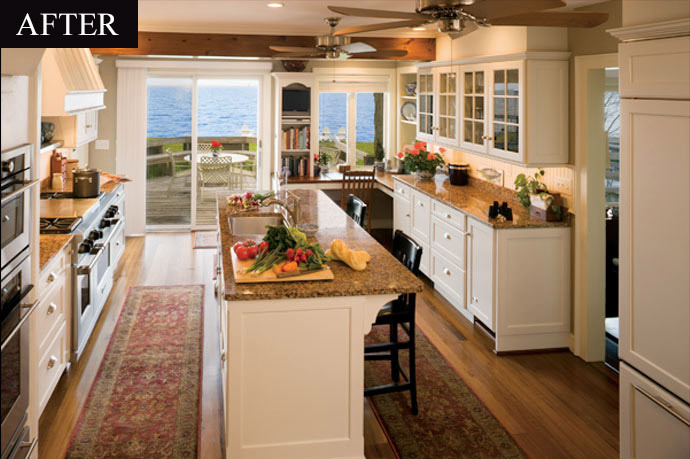 And, she replaced what was once an uneasy window seat facing in, to a comfortable desk looking out on the waterfront where paying the bills isn’t so boring, organizing recipes is fun and writing letters to friends is now more frequent.